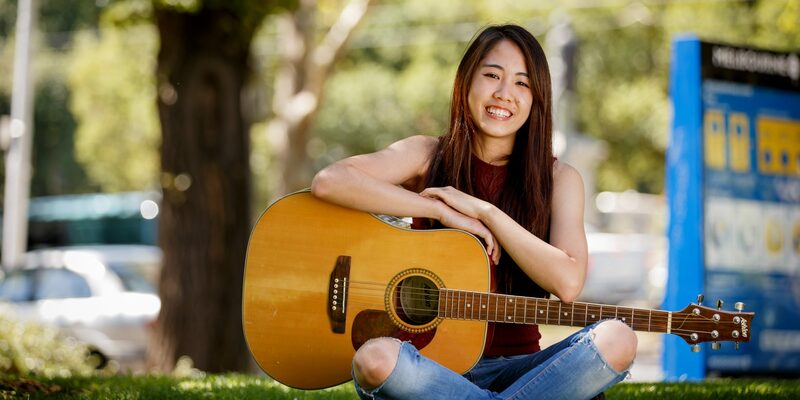 Joy Heng moved to Australia after some googling led her to the Melbourne Conservatorium of Music’s Interactive Composition course. Following the release of her first single on iTunes, she shares some insights into what it’s like to be an international student, composer, collaborator and budding singer-songwriter. I have loved playing the piano since I was 12 years old. In 2012, I decided to study music at Singapore Polytechnic, which allowed me to develop a wide variety of music skills. I began producing my own songs and fell in love with composing music. Finishing a song gave me a great sense of achievement and satisfaction. I was set on pursuing music and found the Interactive Composition course on the MCM website – and it seemed perfect for me. Joy Heng, Dreams. Filmed and edited by Aldin Ortinez. When I moved to Melbourne, I wanted to broaden my mind by experiencing a new culture and connecting with more musicians. I remember looking at a video on YouTube which showed [Head of Interactive Composition] Mark Pollard talking about how to audition for the course. I was a bit intimidated but so determined to create a great portfolio for the audition. Recently, I was able fulfil my dreams to release my very first single on iTunes and Spotify. 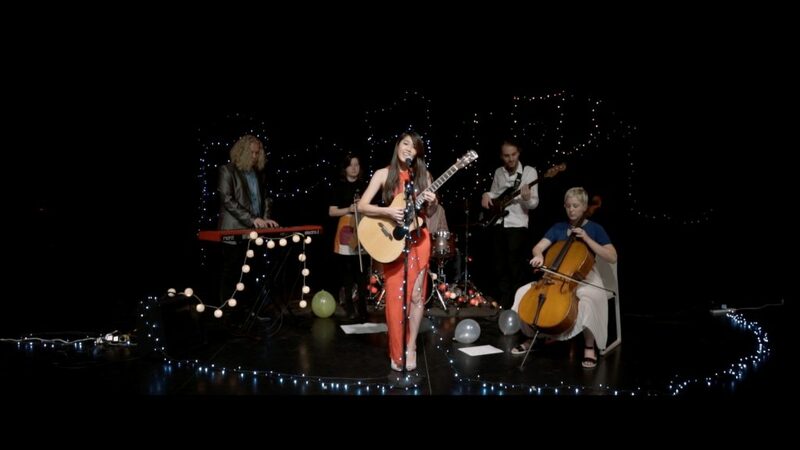 With the help of the Melbourne Conservatorium of Music, I was also able to release a professionally-filmed music video. I worked with some students from the Jazz & Improvisation stream who played my track and made it sound really amazing. I used the Grant Street Theatre on campus to film a video and, with the help of some staﬀ and lecturers, I was able to set up all the lights and instruments very smoothly. I really enjoyed this process, especially the collaboration with my fellow students. I’ve made amazing friends while studying at the MCM, and they’ve made the challenges of university life so much easier. I’m miles away from my family, but the people I’ve met here have made me feel like I am at home. Also, the collaborations between different artistic areas is something that I really enjoy – I feel that it exposes me to greater opportunities. Everyone who studies here is so talented. They’re the future of the music industry, and I hope to be able to work with them as my career progresses. I have the constant support and help of my lecturers. They guide me in the right direction and are always pushing me to achieve my full potential. In the next few years, I hope to be able to grow as a singer-songwriter. When I graduate at the end of this year, I would also love to be able to work in the media sector, composing music for animations, films or commercials, or anything else interactive. If you want to pursue a career in the music industry, you just have to keep working on it, keep practising, and never lose sight of your dreams. In time you’ll get there. I’m not there yet but I’ll keep pressing on. Don’t forget to take the time to explore as many opportunities as you can, and make sure you chill out too. Hang out with your friends, go to gigs, travel. There’s so much out there. Applications for the Bachelor of Music close on 28 September. Find out more. Main image: Final year Bachelor of Music (Interactive Composition) student Joy Heng. By Sav Schulman.